“Live free or die fighting” is the axiom on which the latest trailer for Injustice 2, aptly titled “Shattered Alliances Part 2,” is based upon as Superman’s regime grows in strength. Continuing where part one left us (on the edge of our seat), it begins with Lucius Fox urging Bruce Wayne to widen his circle of trust in order to usurp the regime. He is later seen teaming up with both The Flash and Green Lantern before things really begin to heat up. Barry Allen, also known as The Flash, witnessed a great injustice when his mother was murdered before his very eyes as a young child by a mysterious light. With the identity of the true killer never discovered, Allen became a forensic scientist later in life, seeking to solve the cold case himself. But when a mysterious lightning bolt struck a shelf in his lab one thing became clear: Allen would never be the same again. Gifted with the ability to run at incredible speeds and phase through solid objects, his new abilities will aide him in closing in on the truth as well as helping the Justice League overturn Superman’s regime. His arch nemesis, Reverse Flash, also makes a brief appearance. Hal Jordan, not unlike Allen, also witnessed the tragedy of a parent’s demise when his father was killed in a plane crash. Motivated to become like this father, Jordan trained as a test pilot. But when a dying alien ship crashes on Earth, Jordan is chosen as the alien’s unlikely successor in the Green Lantern Corps, a universe-wide peacekeeping force over 3600 members strong. Gifted with a powerful ring, Jordan’s newfound strength and abilities are limited only by his imagination. 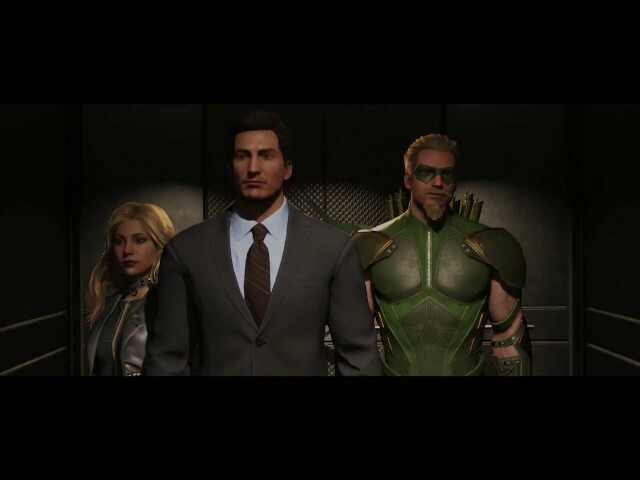 Also making an appearance is Green Arrow, otherwise known as the billionaire Oliver Queen. Having been left for dead on a desolate remote island for years after being betrayed by his assistant, Queen lived off the land, mastering a bow and arrow. After eventually making his way back to civilisation, Queen armed himself with a gaggle of trickery, including arrows containing tear gas, smoke and nets, vowing to eradicate Central City of crime. He fights alongside Batman in the hope of overturning the regime. How amazing does this Story Mode look? Be sure to like us on Facebook, follow us on Twitter, subscribe to our YouTube channel and keep an eye on our Instagram account for updates!